Nobody looks forward to invoicing and other back office tasks. But if you’re a freelancer, improving your administrative processes can really help save you time and reinforce the image you present to your clients. And at the end of the day, your brand is your business. 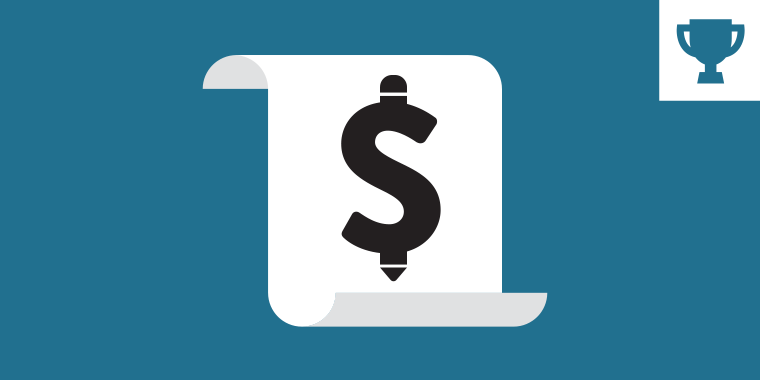 A good place for invoice basics is with Word’s built-in and online templates. 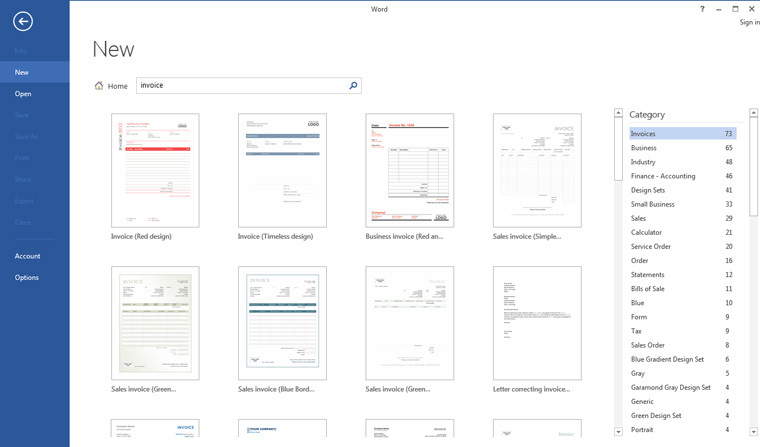 Word’s templates offer the perfect starting point for anyone looking for invoicing essentials. The downside to those templates is that they all look alike. Sure, there are color variations, but they’re mostly the same and aren’t branded for your own image. And that’s what this week’s invoice challenge is all about. Clearly one place to find creative invoices is to search for what others have done. 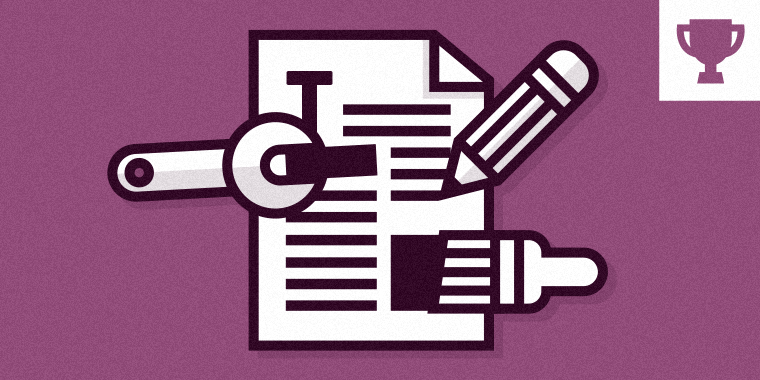 Another thing you can do is look at related documents across a range of industries. I like the infographic approach. Perhaps something like that would work to communicate visually how much development time was spent on QA or change requests? 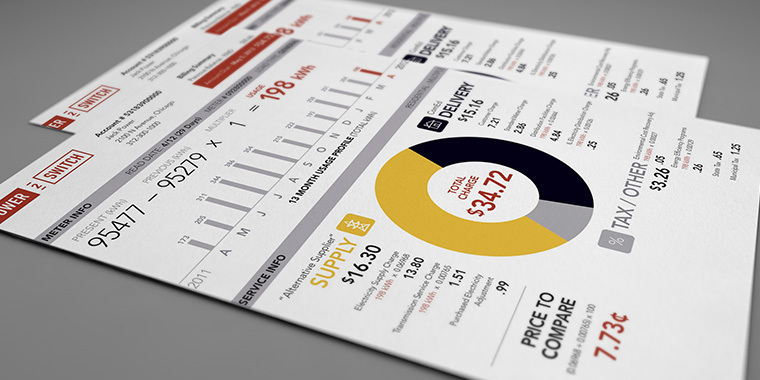 You can use any tool you like to create your invoice template. If you decide to share your template with the community, please share it in Word or Google Docs format so others can work from your designs. Wishing you a profitable week, E-Learning Heroes! My first reaction to this was mixed but I probably really do need an invoice and why not make it pretty. Good idea. Maybe this challenge will make me need invoices. Haha! This gives me a chance to work in Illustrator a bit more. I didn't have time for the last challenge, unfortunately, due to some fun projects that I now need to invoice. So this is perfect. I've been following the challenges for a long time and I think I'll start participating this week. When do the challenges start and end? Never Ever Amanda! You can submit at any time! David will make sure you'll be added to the challenge recaps! Here you go: http://bit.ly/1AZjF4S Here's an example of my invoice. I've read that have the actual invoice number in red makes in 23% more likely that people pay the invoice faster. For the rest it's clean and simple. Oh and I always invoice digitally unless a client demands a paper version. A more sustainable way to do business I think. Nice, is that your real address? The creepiest question goes to me, LOL. That was my next question. I'm going to do the same. I feel like it would be weird to share my address since it isn't an office. Plus, I also don't want random junk mail coming to me. Jackie, you don't want the Dutch collection agency after you. Last time I tried dodging an invoice my stroopwafel supply was throttled! Nice one Jeff, I love it. But aren't they typically announced on a certain day of the week? Hi Amanda! David announces them every Friday. Jackie is right! The new ones are just added on Friday but I still go back and do the old ones because David adds them to the recap when you post them (even if they are old challenges). That's right, Amanda! The current challenge will always be the featured image (big one) on the challenge page. You can find the complete list of challenges in reverse-chronological order here: https://community.articulate.com/articles/elearning-challenges I'm updating the older challenges to the new visual format: https://community.articulate.com/articles/elearning-games-recap When we first started the challenges, I curated everyone's work w/ text links. That didn't do justice to the examples so that's where the visual format came from. I like this! Excited to participate in my first challenge! All I have to say about this challenge is that I'm glad I'll be on vacation next week. Yeah. I've tried that "I'm on vacation" thing too, Nancy - but David never forgets. Right on! That's a cool-looking invoice. I'm going to dig my latest design from the crates and share. Thanks for sharing, Alexander! Thank you David and Jackie, this what you get with a little Word and table magic. I like the idea with the QR code on the invoice and I hope this customer will be happy about getting this nice discount. Looks great, Mel! I want to say it's cute - but in the best possible invoicey way. It would definitely cost a lot in ink. Nice clean design. I love how well on brand it is. Beautiful, Linda! Kind of a tough break for David, I guess. Were you expecting a bill? I think this challenge may have taken a turn he didn't expect. Thanks, Linda. I just forwarded to Tom. Do I have to chase Tom now for the money? Yep! You have to follow the money! That's a good one, Linda! Did Nancy already go on vacation? I started a placeholder for her in the recap. I'm sure she wouldn't leave before submitting her invoice. Thanks for the reassurance, Jackie. I think she'll be working on it on the beach. I'm in New Orleans. Drinking beer and listening to some Jazz. Very nice Joanna, classy meets fun. Haaa... Nice attention to details and fine too! Love the unicorn logo. Awesome Joanna, beautiful background. I need to bump up my price structure LOL! Yep, amazing detail! A piece of art! Thanks all for these positive, motivating words! Oooo, I like this one. I like how you incorporated the logo throughout the invoice. Nice touch. Yes, great job! I think you've inspired me to do another one too. So nice, Joanna! As others have mentioned, you did a great job of integrating your logo throughout. Beautiful design Joanna. Love the texture and the 3D feel of it. Nice, Daniel! I see you've even used Jeff's put-the-total-in-red method to get speedier payment. Thanks Jackie... Jeff's total-in-red method seemed to work in case you get bored by all the details, you get to see the final most important detail! Great job, Ashely! I totally love the font you used for your heading! I like the simplicity and use of your logo, Ashley! Nicely done. No, I'm a graduate. :) I finished my MS in 2010. Your name looks familiar to me, though. Waaaaaaaait a minute...is this your very first challenge entry, Amanda?? Woo-hoo! Good job getting in there. Nice invoice! I especially like your title fonts. Yep! My very first one! Thanks for the compliment! I like the "around blue color approach" and the total amount being orange. The unequal shape on the left margin looks great under the icons. Hi Sophia! Glad to see you back. :) I really like your use of asymmetrical shapes, too! I see the trend of including production details (production phases, hourly rates, number of production hours etc.) maybe to help client understand a little more how the total cost came about... Any experiences with this? Daniel - I find most non-ISDers find it a little surprising how long it takes to complete a full project. Even though I give them my initial estimate, I find it helpful to detail how many hours I spent on each task. I have a client I work for on an on-going basis, so I actually include task and hours detailed by day when I invoice her. @Daniel, great question. I keep the invoice high level. In the actual contract is where I define the project and detail all the tasks. My payment terms are typically based on 'kickoff', milestone1, milestone3, ... final. Keeps the invoice clean. Like Amanda mentioned, larger projects have so many moving pieces and different skills that it's quite challenging to track each task by their skill by hour. A separate time log is submitted at agreed upon times or with invoice. I operate almost exactly like Kevin does, Daniel. I bill by agreed-upon milestones, and since all details and terms have been worked out prior to project start, the invoice ends up being quite simple. Like the simple design. Clean and clear. I would never call your designs vanilla, Jackie. Love the look and colours. I love it so much... Everything! General design and calendar-like theme, the dock effect and I noticed you used two approaches - the total-in-red method and the say-its-good method... Worked very well! "this space intentionally left blank for white space impact"; what does white space impact mean (pardon my ignorance please)? Thanks Daniel. "whitespace impact" is a parody to a design reference. Often as designers we don't know when enough is enough (raises hand...guilty) and think we need to fill every available space in a design. That phrase is a stab at making fun of myself. Payment due...tomorrow is good! LOL I like every piece of this invoice. Gotta love the whitespace impact area! Cool design, Kevin!